Bryan was born and raised in Apopka, Florida. He graduated from Apopka High School in 1976 and went on to get his Bachelor’s degree in Ornamental Horticulture from the University of Florida. Currently, Bryan is a member of the Apopka Area Chamber of Commerce, the Apopka Rotary Club, the Florida Association of Independent Agents (FAIA), and a member of Florida Nursery, Growers and Landscape Association (FNGLA). Bryan was elected to the Florida House of Representatives in 2006, serving for eight years. In 2014, Bryan was elected to the Orange County Commission, serving the residents of District 2. Debbie was born in New Jersey and moved often throughout her childhood following her father’s Navy career. Her family settled down in Fort Myers, Florida while Debbie was in high school. Her family began running an insurance agency in the area and her brother still runs the agency today. Debbie attended the University of Florida for college. Shortly after college, she married Bryan and moved to Apopka and has been here ever since. She is in charge of the office finances and she always makes sure the office is running smoothly. Linda was born and raised in Apopka, Florida. She graduated from Apopka High School in 2004 and received her Bachelor’s Degree in Business Management from the University of Florida. 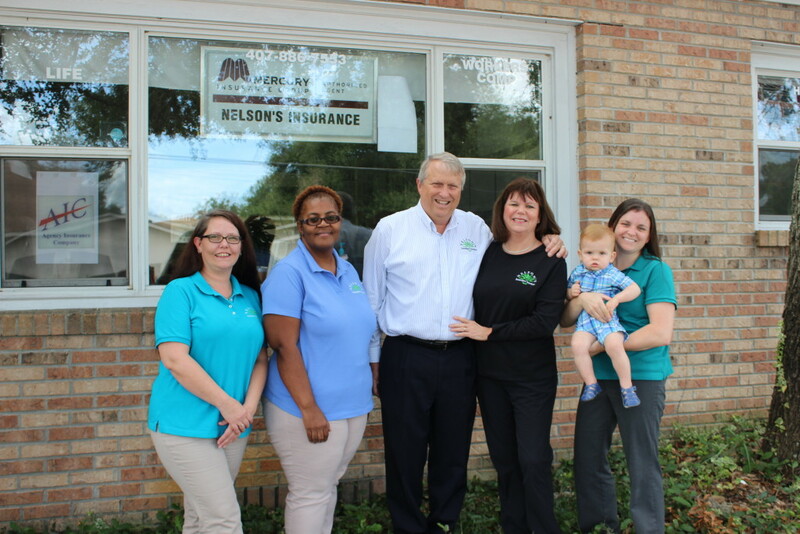 After graduating in 2008, Linda moved back to Apopka and began working for her parents at Nelson’s Insurance. Linda and her husband Doug Knudsen live in Apopka with their son Reed. She currently works with the personal lines and handles our group benefits and crop insurance. Sunshine was born and raised in Dalton, Georgia. She attended Seminole High School in 1990 and received her Diploma from Moultrie Technical College. Sunshine moved to Apopka in 2005 to be closer to her family. Sunshine still lives in Apopka and is a mother of three adult children. She joined the agency in 2013 and works in the personal lines department. Lisa was born and raised in Orlando, Florida. She graduated from Edgewater High School in 1984 and received her Bachelor’s Degree in Business and Professional Management from Nova Southeastern University. Lisa joined the agency in 2016 and comes to the office with over 20 years of prior insurance experience. Lisa is a mother of four adult children and has four grandchildren. Lisa works in the commercial lines department. Call us today at 407-886-7553 or request a quote and one of our representatives will be in touch with you.